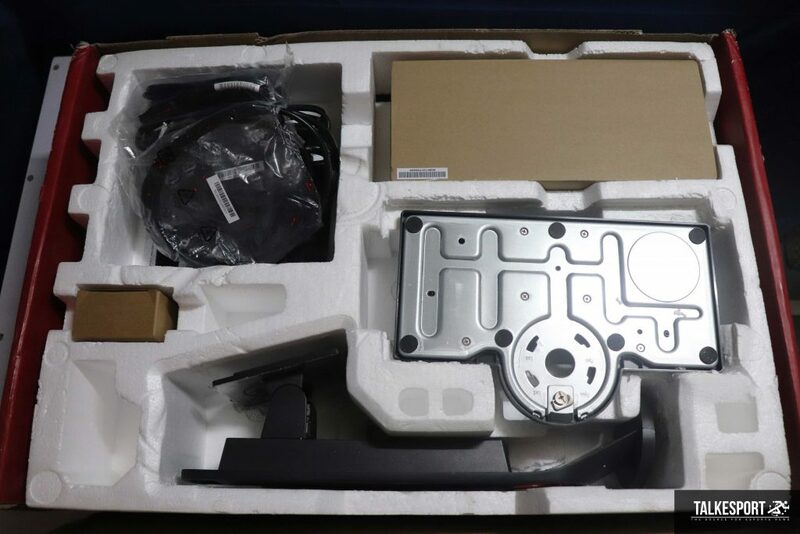 The ZOWIE XL2546 comes along with the base plate, stand, S-switch and a pair of shields. 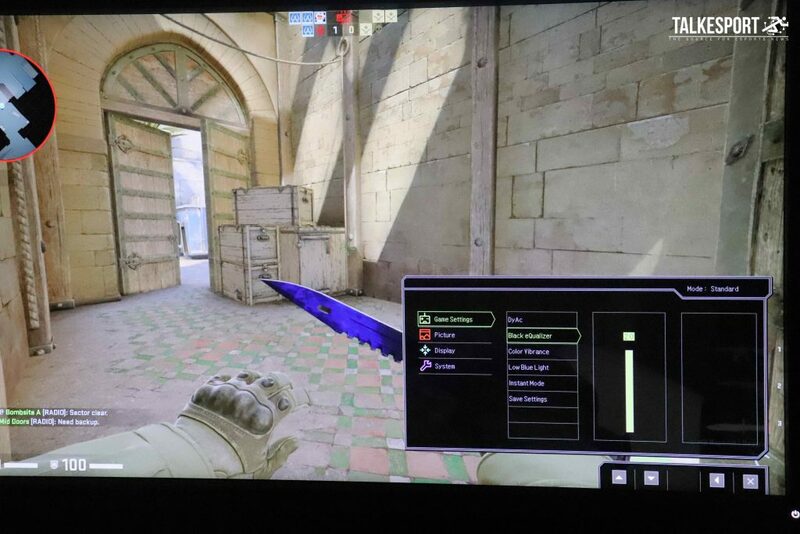 It’s pretty obvious that the 240hz monitor needs at least 240fps to work at its peak. 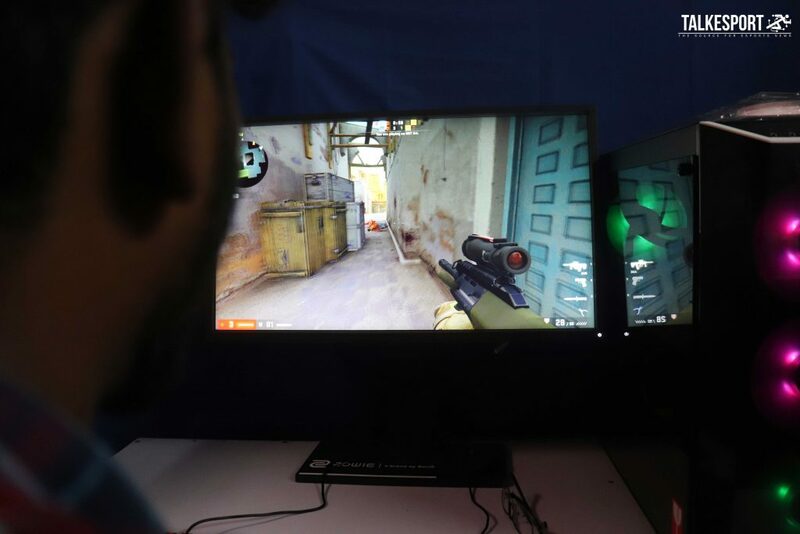 Dynamic Accuracy (DyAc), Black eQualizer, Color Vibrance, and Flicker-Free are the crucial features which set apart this monitor as an ideal choice when it comes to competitive titles like Counter-Strike: Global Offensive, PLAYERUNKNOWN’S BATTLEGROUNDS, DotA II and League of Legends. 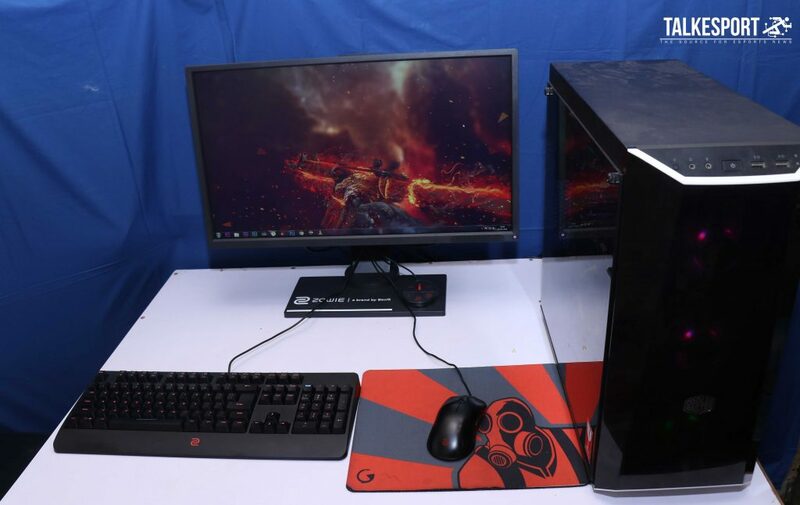 The monitor comes in a pretty huge box in terms of the size. Also, it’s covered by thick foams for additional protection during the transit. All the other components are segregated decently in different spaces. 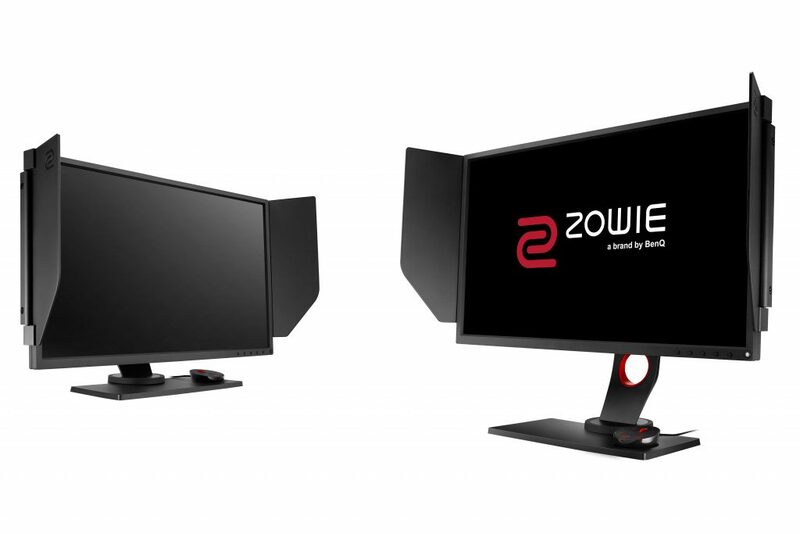 In terms of accessories, the ZOWIE XL2546 comes with a CD that contains the user manual and a copy of Acrobat Reader, a pair of Shields which can be installed on both sides of the monitor for better focus in the game, the S Switch, a power cord, and a DisplayPort cable. The design is pretty basic and not that aesthetic as we expect from a brand whose primary concern is the professional scene. 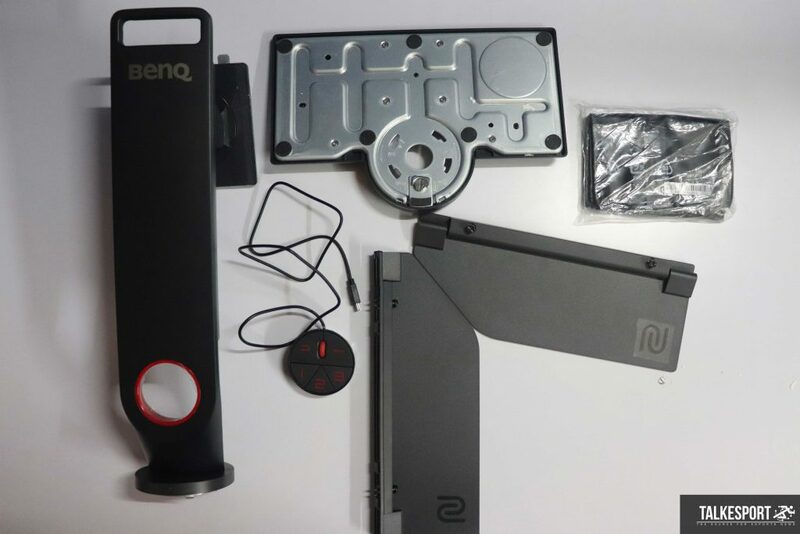 Even the body around the screen is manufactured with matte plastic which reduces reflection. 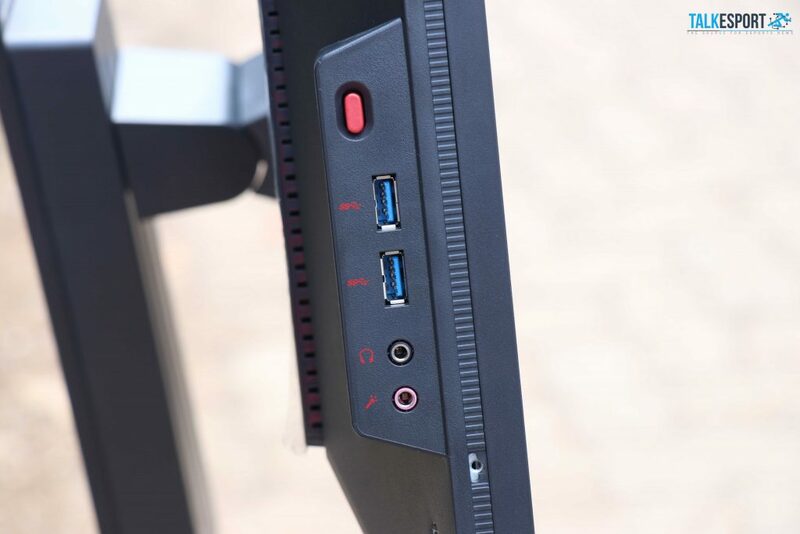 The ZOWIE XL2546 has quite the selection of ports. 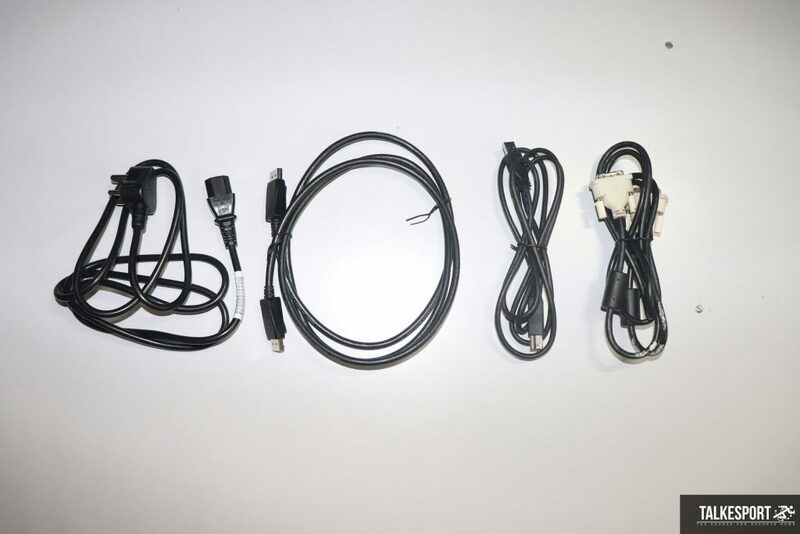 There is a microphone jack, a mini USB to connect the S Switch, a DVI-DL port, HDMI port, HDMI 2.0 port, a DisplayPort 1.2 port, and a USB 3.0 up-link. Also, there are two jacks on the side. One microphone and one headphone jack for passthrough. 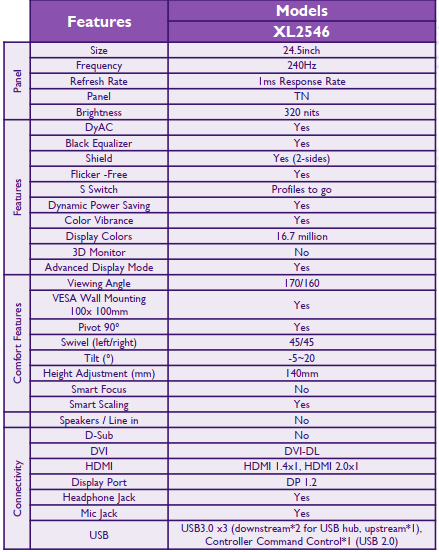 We do realize that the shield might hinder your ease of accessibility to the side I/O panel of the ZOWIE XL2546. 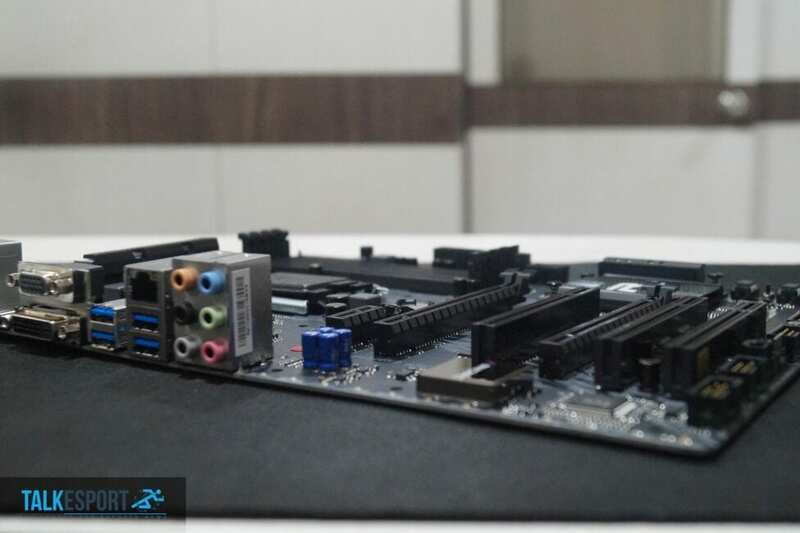 At the bottom right side of the front of the ZOWIE XL2546 is where the power button and OSD buttons are found. I’m sure many users griped that the OSD buttons are difficult to use an not intuitive at all. That’s where the S Switch comes in. The S Switch is a faster alternative for users to navigate the OSD menu easily and change settings quickly the scroll wheel. Also, the S Switch can save a total of 3 profiles and can be changed back and forth with a single press of a button on the S Switch itself. When not in use, the S Switch can be placed on the dedicated dock located on the right side of the base. This feature only resides in ZOWIE monitors which definitely enhances the professional gaming experience when it comes to CS:GO. It aids to aim effectively at a moving target along with recoil-control while firing. DyAc does have a quirk – as turning on DyAc will turn off the Flicker-Free feature automatically. Black eQualizer helps to spot the target in dark positions as it brightens up the dull space on the map. This, in turn, reduces the eyes strain without increasing the brightness of the monitor. 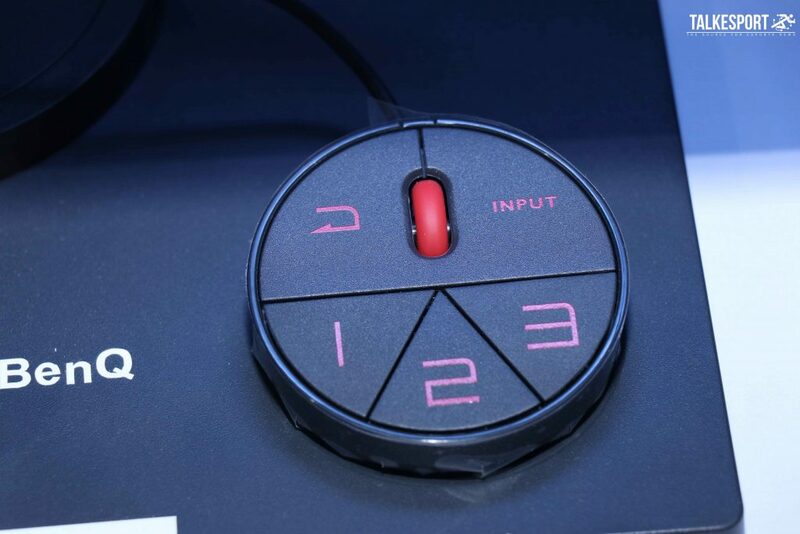 All the ZOWIE XL & RL series monitors are equipped with this feature. It provides a slight edge over the opponent in a chaotic encounter. Color Vibrant was initially a much-needed feature for PUBG enthusiasts. This feature allows to distinguish the colors and spot the enemy squad hiding in grass or bushes. 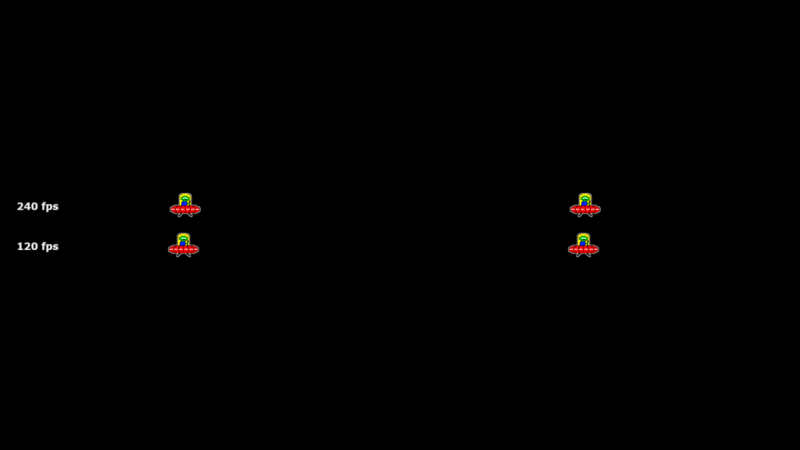 It also helps to spot enemies in a long-range combat without increasing the brightness on the monitor. As the name suggests, Flicker-Free technology halts the flickering of the screen which in turn, leads to fewer strain levels on the eyes. Shield is not so useful if you’re playing on your own setup. 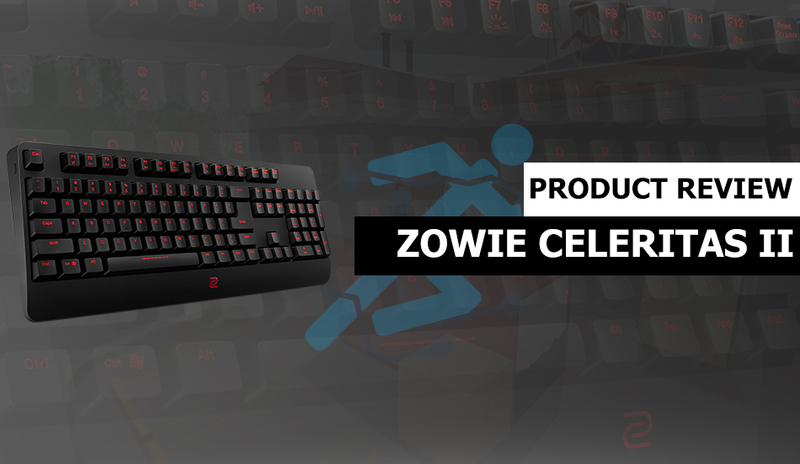 But as we say, ZOWIE’s top priority are the professional e-sports athletes. When you’re playing on the stage in front of thousands of people or at a LAN, shields help you to concentrate and focus on your screen. Although it’s not a popular or an essential feature, S-Switch allows to store three profile video settings which can be switched with a single click on the S-Switch. 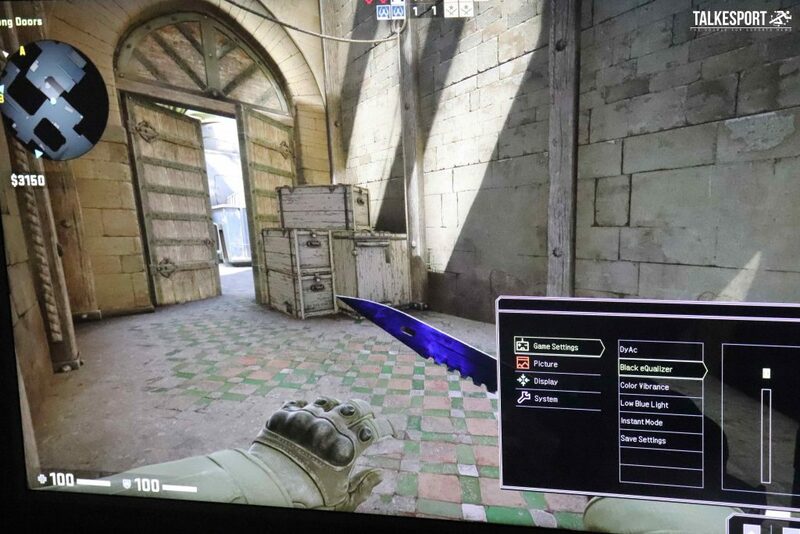 This could come in hand if you require different settings for different titles. 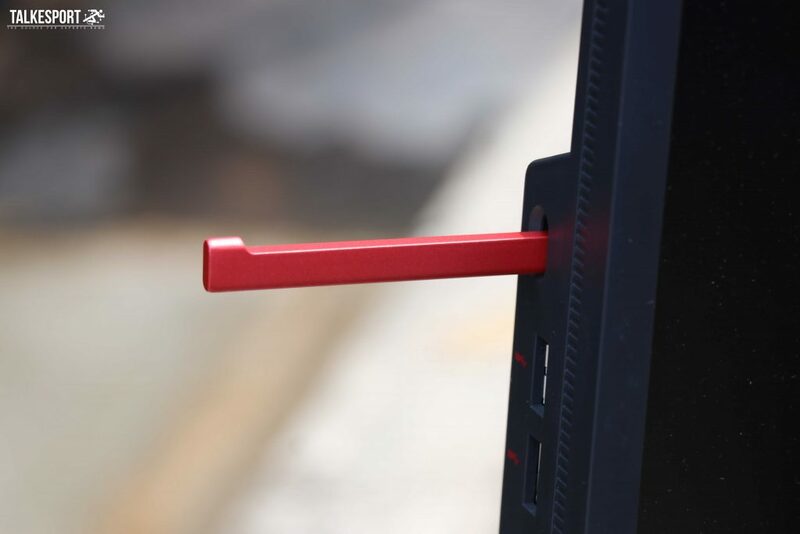 As you could guess, the height adjustment stand obviously allows you to set different height levels. But it also comes with a marker which can help you store your desired height. It can also be mounted on the wall which will be quite unconventional. 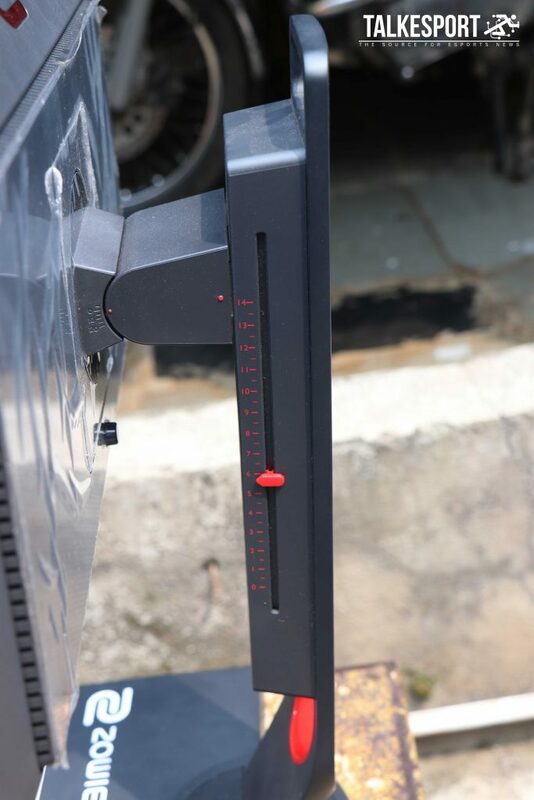 Alongside height adjustment stand, it also comes with a rectangular base plate which is comparatively big. Sheilds help you focus at tournaments or LAN parties. 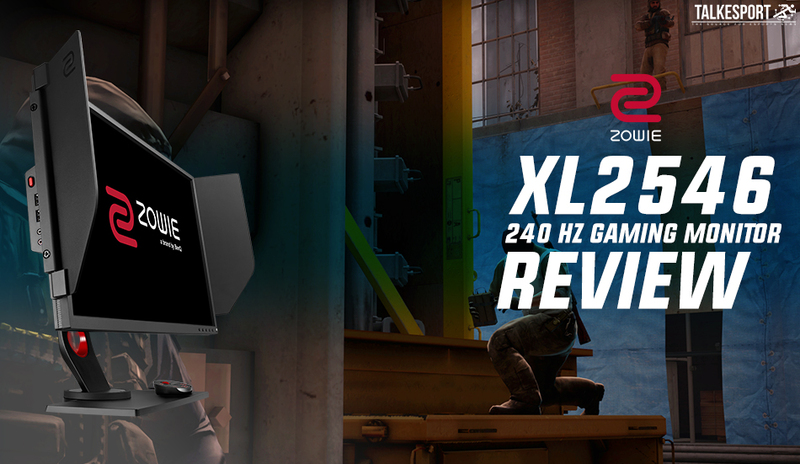 The ZOWIE XL2546 is purely designed keeping the expectations of professional e-sports industry in the mind. The monitor is purely designed for the competitive gameplay and it doesn’t entertain RGB and other fancy stuff. It features DyAc and Black eQualizer which provides a slight edge over the opponents in terms of visibility, focus, clarity and smoothness. 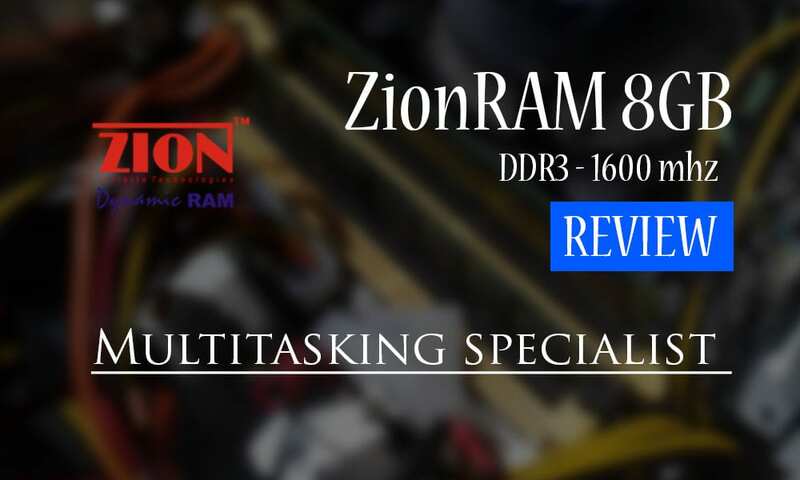 But on the other hand, Adaptive-Sync is a much-needed factor which is missing in ZOWIE XL2546. 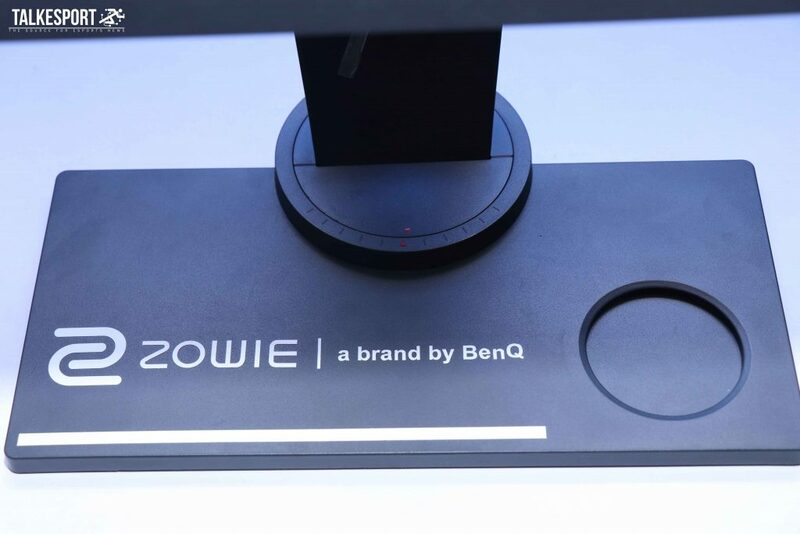 ZOWIE has been the first choice of tournament organizers as it comes with 1ms response time and 240hz display.